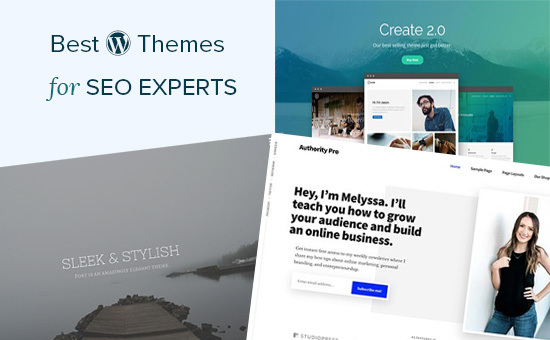 Are you looking for the best WordPress themes for SEO experts? As an SEO expert, you may want to choose a theme that showcases your SEO and marketing skills while helping you convert visitors into clients. 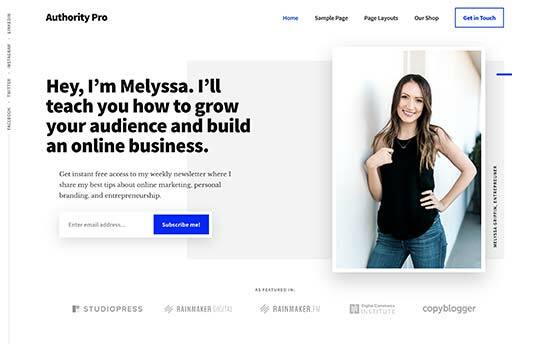 In this article, we have hand-picked some of the best WordPress themes for SEO experts that you can use for your website. WordPress is the most search engine friendly website builder in the world. That’s why top brands are using WordPress for their websites. There are two types of WordPress available. WordPress.com which is a fully hosted platform and WordPress.org also known as self-hosted WordPress. For a detailed comparison, see our guide on the difference between WordPress.com vs WordPress.org. We recommend using WordPress.org because it instantly gives you access to all WordPress features out of the box. You will need to purchase a domain name and hosting to build a self-hosted WordPress website. We recommend using Bluehost. It is one of the largest hosting companies in the world and an officially recommended WordPress hosting provider. Once you have purchased hosting, follow our guide on how to make a website for step by step set up instructions. 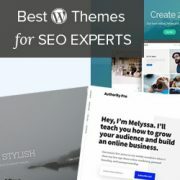 That being said, let’s take a look at some of the best WordPress themes for SEO experts, consultants, and marketing experts. Ultra is a multi-purpose WordPress theme with complete ready-made designs suitable for SEO experts. All of these designs can be installed with 1-click including the demo content. You can then just go ahead and replace the content with your own to make it yours. It includes a powerful drag and drop page builder, which allows you to edit any page layout with a simple point and click interface. Inside you will find multiple design options with several templates, header designs, blog layouts, page templates, and sidebars. Spencer is an elegantly designed WordPress theme for SEO businesses, marketing agencies, and entrepreneurs. It has a modern business homepage style which is easy to set up with simple drag and drop widgets. It has ready to use templates for to add landing page, contact form, about page, and a separate blog page. All theme options are neatly organized under live theme customizer which allows you to easily customize every option and set up your website. 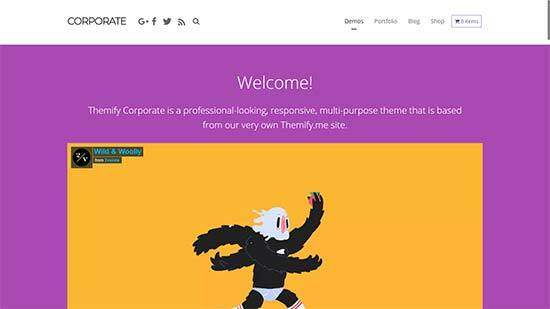 As the name suggests, Corporate is a WordPress business theme designed to be suitable for any type of business including SEO experts and agencies. It ships with several ready-made landing page designs and a built-in drag and drop builder to easily edit them. 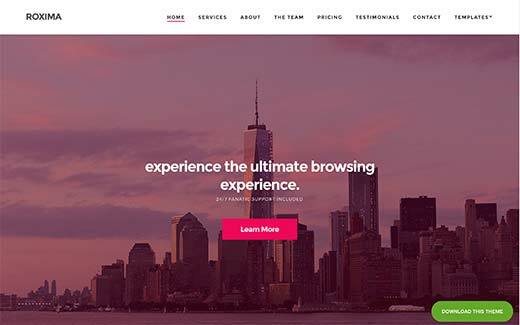 It has multiple layout choices for different page templates, smooth background color change effect, CSS animations, testimonials, and more. It comes with a beginner friendly theme options panel with 1-click demo installer and full customizer support. Academy Pro is a powerful WordPress theme built on top of the Genesis theme framework. It is perfect for SEO websites selling online courses and training along with SEO services and other products. It is super easy to set up with a widgetized homepage layout, custom widgets, and a theme options page. It is eCommerce ready with full support for WooCommerce. Indigo is a multi-purpose WordPress theme suitable for SEO experts, agencies, and businesses. It takes a modular approach to design and allows you to just drag and drop modules to create page layouts. You also get several ready-made designs that can be installed with 1-click. 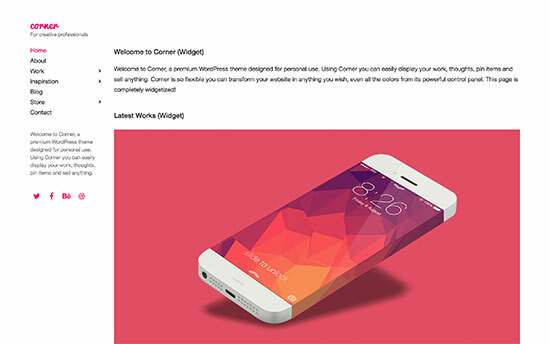 Other notable features include custom widgets, social media icons, contact form, Google fonts, and more. All theme settings are quite straightforward and easy to follow even for beginners. Authority Pro is another powerful WordPress theme to build your online presence as an SEO expert. Built on Genesis framework, it features a fresh and modern design with a large header image, welcome message, and an email subscription form at the top. It includes 4 widget ready areas, two navigation menus, and a unique vertical navigation menu. Theme settings are controlled by a theme options panel and live theme customizer which makes it quite easy to set up and use. Roxima is a modern WordPress business theme perfect for SEO consultants and agencies. Its homepage features a large background image with your call to action and beautiful parallax background effects. It comes with custom widgets, several widget ready areas, page templates, unlimited color choices, and more. It is easy to use with tons of options in live theme customizer. 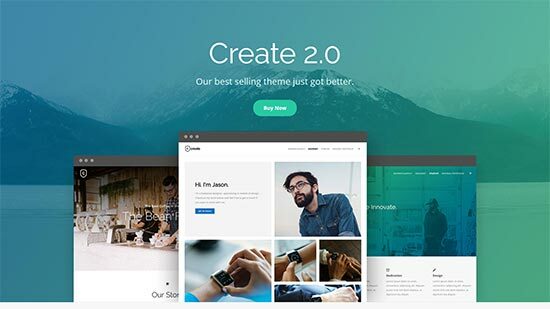 Create is a clean and professional WordPress theme perfect for SEO and marketing agencies. Its homepage features a highly engaging layout with beautiful slider on top followed by your most important content. It has multiple header styles, built-in mega menu navigation, contact forms, icon fonts, and more. It ships with a slider plugin and works well with popular page builder plugins. It is easy to use with tons of options to customize it in any way you want. 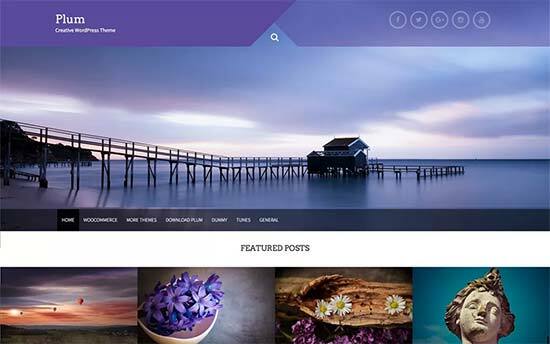 If you are looking for a free WordPress theme for SEO services provider, then check out Plum. 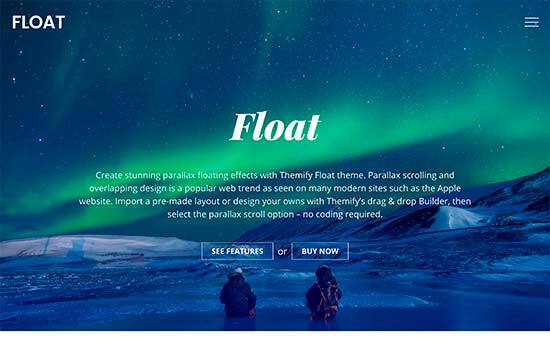 This multi-purpose WordPress theme includes a beautiful homepage with slider, CSS animations, a featured content area, and widget-ready areas. 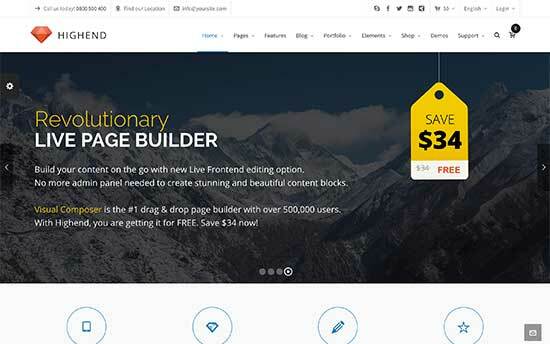 It can be used with any top page builder plugins to create your own page layout if needed. It is ready for WooCommerce and can be easily translated into other languages. 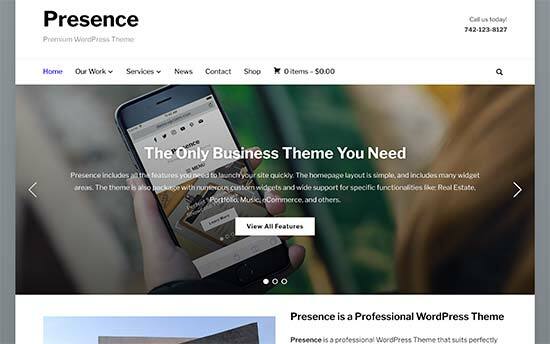 Presence is a multi-purpose WordPress theme created for all kind of business websites. It comes with 10 ready-to-use demos including one for digital agencies, which would be perfect for SEO service providers. It includes portfolio section, team members, testimonials, custom widgets, with flexible layouts and 6 color schemes. It is designed to work out of the box for beginners while offering tons of choices for advanced users. 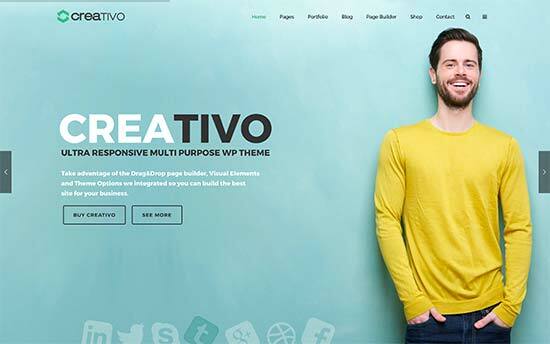 Creativo is a stylish and powerful multi-purpose WordPress theme. It comes in 7 skins, 3 design layouts, multiple header styles, and unlimited color combinations. It includes freebies like a page builder, slider, and live chat plugin to extend theme features. Inside you will also find portfolio and testimonial sections, sidebars, custom widgets, social media integration, and more. It is WooCommerce ready out of the box and has beautiful templates for shop and product pages. 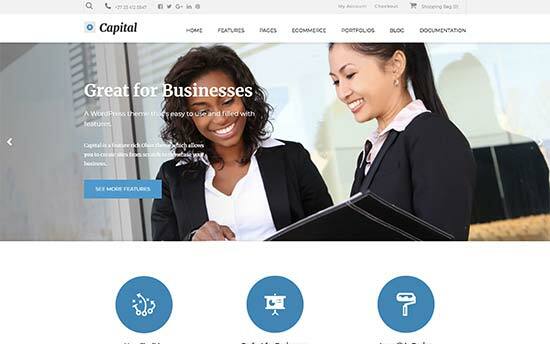 Capital features a modern and professional business website look, which is perfect for SEO consultants. 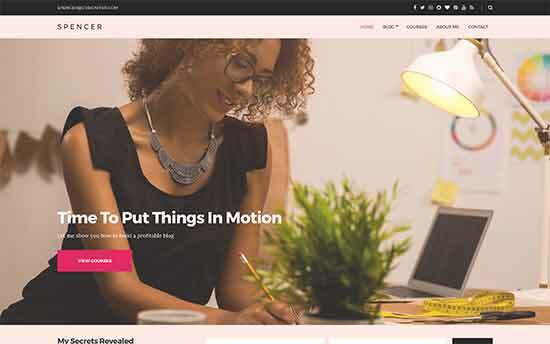 This WooCommerce ready WordPress theme comes with easy to use sections to add your services, portfolio, client testimonials, team members, and more. It is quite easy to use with visual settings, live customizer support, and tons of easy to use options to make it your own. It is translation ready and can also be used to create multilingual WordPress websites. If you are looking for a minimalist and distraction-free design, then take a look at Corner. This clean and simple WordPress business theme comes with a simple two column layout. It features a narrow left sidebar and a wider content area with lots of white space. It is designed to work out of the box but offers color controls, custom widgets for Twitter, Flickr, and content discovery widgets. It is powerful enough to be extended with any page builder plugin or add an online store with WooCommerce. Bulk is another excellent free WordPress theme that can be used to build any kind of business website. Designed to work with popular WordPress landing page plugin, it allows you to create engaging page layouts that help you win customers. It is WooCommerce ready and can also be used as a one-page WordPress theme. All theme options are simple and easy to use allowing you to quickly set it up with minimal effort. Koehn is a uniquely designed WordPress theme suitable for SEO experts, marketing agencies, and similar businesses. Its homepage features a fullscreen slider on top followed by widget ready areas, which allow you to just drag and drop content widgets to set up. It also includes projects, team members, testimonials, and custom widgets for social media and content discovery features. It is tested for SEO and compatibility with essential WordPress plugins. 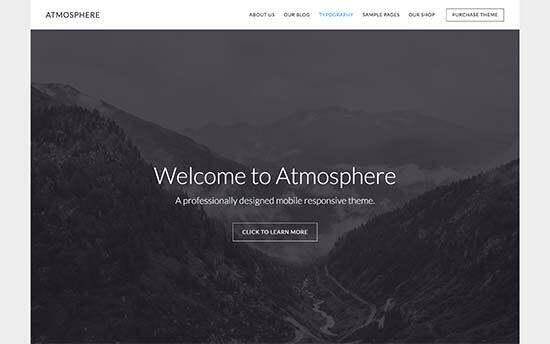 Atmosphere Pro is built on top of Genesis theme framework. 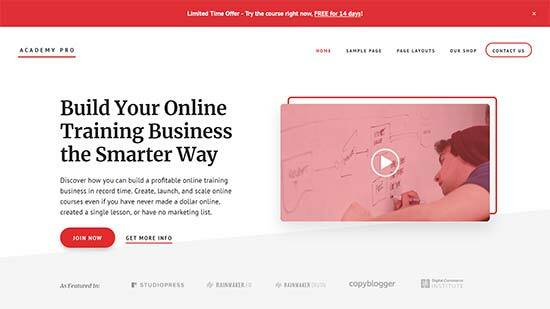 It is a WordPress business theme featuring a beautiful full-screen header image with a call to action on top. It uses large featured images and elegant typography to make your content stand out. Other features include a customizable header, custom widgets, theme options panel, and live customization support. 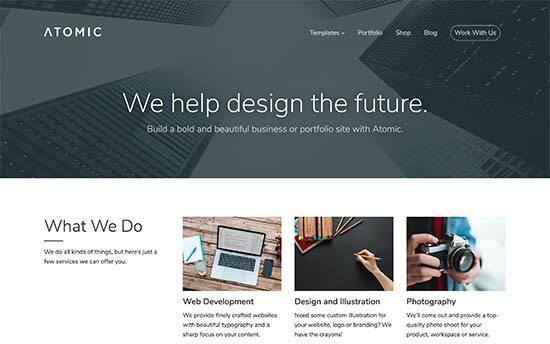 If you are looking for an elegant design with beautiful typography, then you’ll love Atomic. This multi-purpose WordPress theme is suitable for all type of business websites. Its main features include large images, spacious layout, a customizable header, and full WooCommerce support. It is designed to work out of the box and requires a minimum set up. 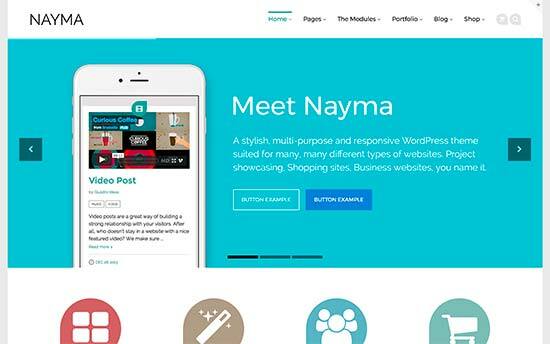 Nayma is another excellent WordPress multi-purpose theme suitable for SEO experts, affiliate marketers, and agencies. It uses modules to build page layouts which allows you to just drag and drop elements to readjust design for your needs. It includes ready to use modules for sliders, testimonials, portfolio, contact forms, and more. It comes with full WooCommerce support and can also be used for multilingual websites. Highend is a feature-packed WordPress multi-purpose theme which is designed to be suitable for any kind of business website. 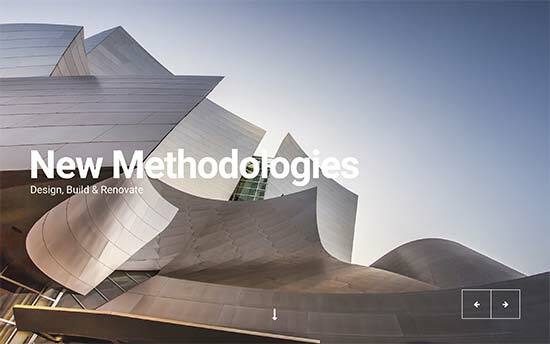 It comes with several ready-to-use demo templates, including a beautiful landing page demo. It ships with a drag and drop page builder, sliders, and icon fonts. Other notable features included are page templates, custom widgets, multiple sidebars and navigation menu styles. 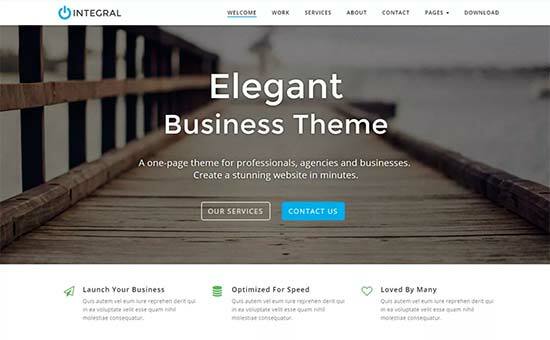 Integral is a free WordPress business theme that can also be used as a one-page theme. It features a modern homepage design with a large background image, welcome message, and call to action buttons. 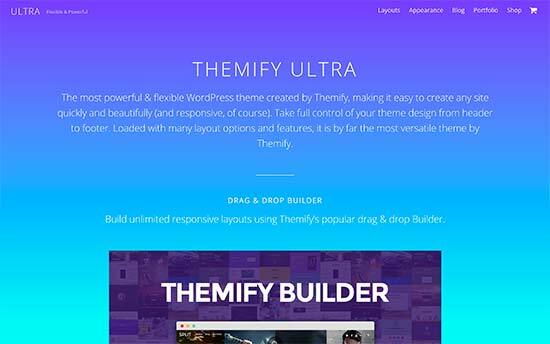 It comes with beautiful parallax background effects, multiple sidebars, projects and features section, and more. You can change theme colors, fonts, widget sections, and more through live customizer. 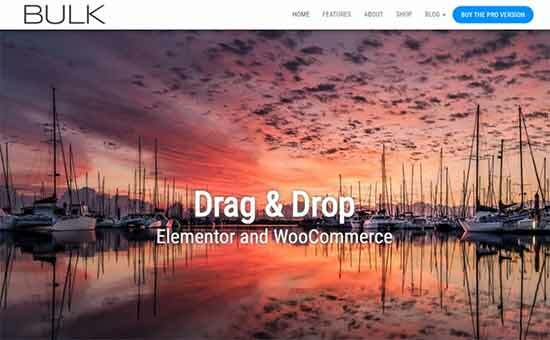 Propel is a stunningly beautiful WordPress business theme which is designed to impress and engage. It is a one-page theme, but works just as beautifully on multi-page websites. 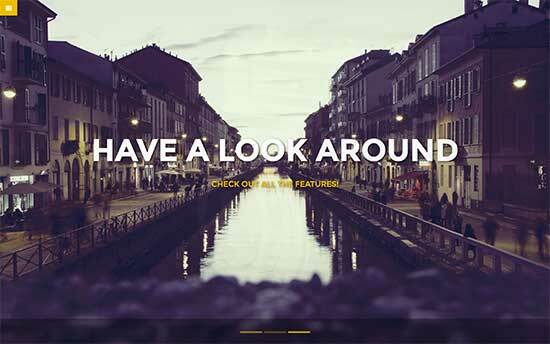 Notable features include a portfolio section, beautiful animations, parallax backgrounds, fullscreen header, and more. It comes with a 1-click demo installer to quickly set up your website. 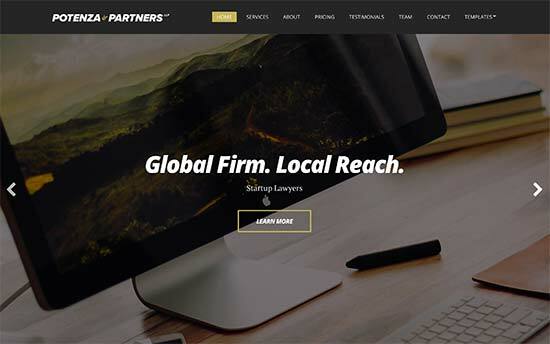 If you are looking for a more formal design for your SEO agency website, then take a look at Potenza. It is a WordPress business theme with a professional and corporate feel to it. It is a one-page WordPress theme with vertical navigation with links to different sections on the page. The homepage is made up of widget-ready areas, which means you need to add content widgets to fill it up and you will be good to go. It includes a contact form, multiple colors, social media icons, Google Maps and support for popular page builders. 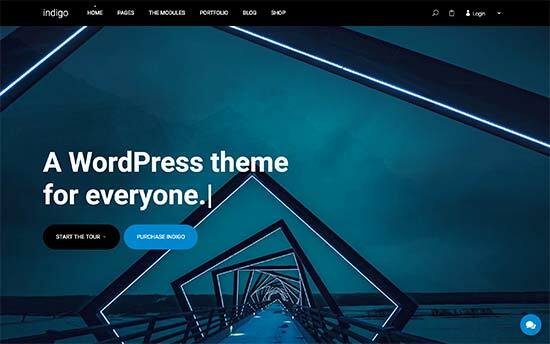 Need a more versatile WordPress theme for your SEO business? Check out Float. This multi-purpose WordPress theme is packed with multiple designs, layout choices, header, and navigation styles. It includes an integrated page builder, templates for blog, shop, single pages, and posts. It has multiple sidebars and several custom widgets. You will find theme settings quite easy to follow with a custom theme dashboard with all the options. 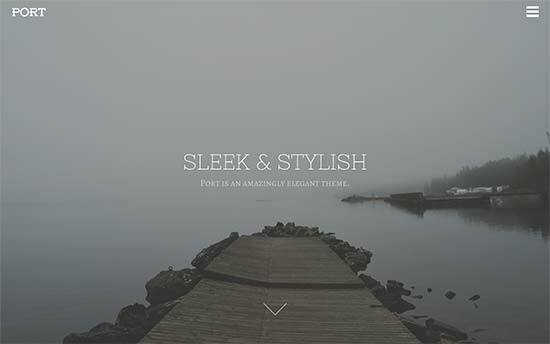 Port is an amazingly elegant WordPress theme for agencies, SEO consultants, and other businesses. Its homepage has a fullscreen background image with a welcome message, your logo or business name, and a collapsed navigation menu. Other sections appear with parallax effects as users scroll down the page. It has services, projects, testimonials, and video sections. Other features include shortcodes, contact form page, Google fonts, and localization support. We hope this article helped you find the best WordPress themes for SEO experts. You may also want to see our ultimate guide on how to improve WordPress speed and performance for a faster website.